With the super saving service, customers will be reduced up to 30% of the cost when booking Vietnam Airlines tickets and hotels through FIMEXTRAVEL’s plane ticket service. – Price for one-way inland journeys: from 333,000 VND only. 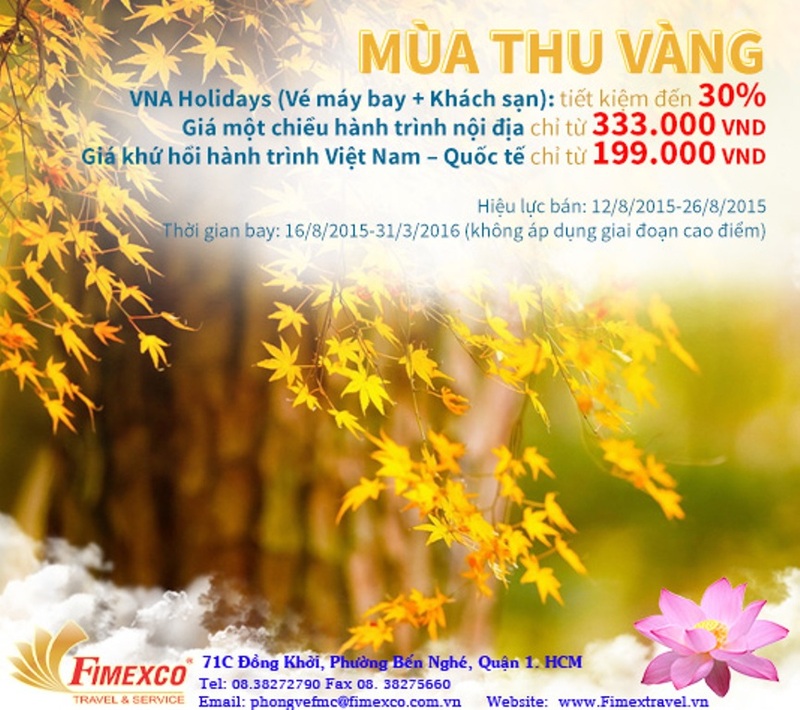 – Price for roundtrip Vietnam – International journeys: from 199,000 VND only. From August 12th, 2015 to August 26th, 2015. Contact us for the best service and price.